Since 2005 Sunshine World has been delivering fully licensed, world class, full service and lowest price skiing and snowboarding holidays to over 3,500 happy guests in Zakopane, Poland’s winter capital. Don’t take our predictable word for it. Read what our guests had to say at the end of their Sunshine World experiences. We’ve already had 4 time returning guests and have even got 5 time returning guests booked in for next season! We’d love to look after YOU next season. We go the extra mile every step of the way to give you the best possible holiday from your first enquiry through to even AFTER you return home. I had a really great time snowboarding. The crew are great, very easy to get along with and great instructors. I had Iian with me on the hill and he taught me so much in such a short amount of time. Thanks again for everything. I’ll definitely be recommend you guys. So the passport saga got worse as tony pointed out john only had 1 month on his passport and for NZ (where he was flying at midday Tuesday) needed 6months. He spent the entire night awake trying to sort it and somehow managed to get a renewal 8am-1030am at the passport office – rocking up the Heathrow 30 mins before his flight (and had to go hand luggage only!) haha typical! But at least he forgot his passport in the first place so he realised the date before he got all the way to the NZ border and had to fly back again! We had a really fantastic time, and very impressed with everything you did for us, including being great company and very patient! Aside from the skiing, it was also great to have all of the drinks/dinners booked so we didn’t have to trapes around looking for somewhere that could host us. You really did go above expectations! The only small improvement, if it’s helpful to know, would have been slightly more structured lesson times – as some people has a fair few hours and others just 30 mins at the end of the day. I think more people may have booked onto lessons/guides if they knew what to expect. Always tough in a mixed ability group I know! Happy to leave a formal review if that’s helpful, and if you have Twitter or FB I’ll post something there too. Accounts – Please pay this today! I had one of the best holiday experience . 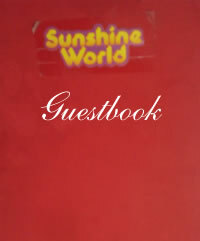 Thank you very to the team of Sunshine world. Everything is very well organised , during the day for skiing and in the evening to party 😉 I was put up at Hostel Satara Polana . It is more like a budget hotel rather than a hostel. The hostel staff are very helpful and the breakfast is good to start a day of skiing. Special thanks to my coach Joe. In 5 days my skiing skills improved a lot. from blue to red 🙂 All this at a very reasonable price. We are already talking about coming back in December 2015, just can’t yet decide on dates and where to stay. I would spend a long time writing you an email but I just spent an hour (litteraly) answering your survey. I can’t say I didn’t enjoy it but it was indeed very long. Send my regards to the team and mostly to Greg and Kasha … oh and Brett 😉 and Jo don’t forget Jo! Hhaha!